Spring is here and Saskatoon’s Real Estate Market is starting to see some slight improvements. Unit sales increased 11% over last March and year to date we are up 4%. We have definitely have seen an increase in activity which is typical at this time of year. The dollar volume has also increased 7% over last March but year to date we are still down 1%. This is a result of some higher end homes being sold. The units listed increased 5% over last march but we are still down 4% for the year. These numbers are positive but remember we are comparing to 2018, it’s no secret that it was the third straight year of our declining market. 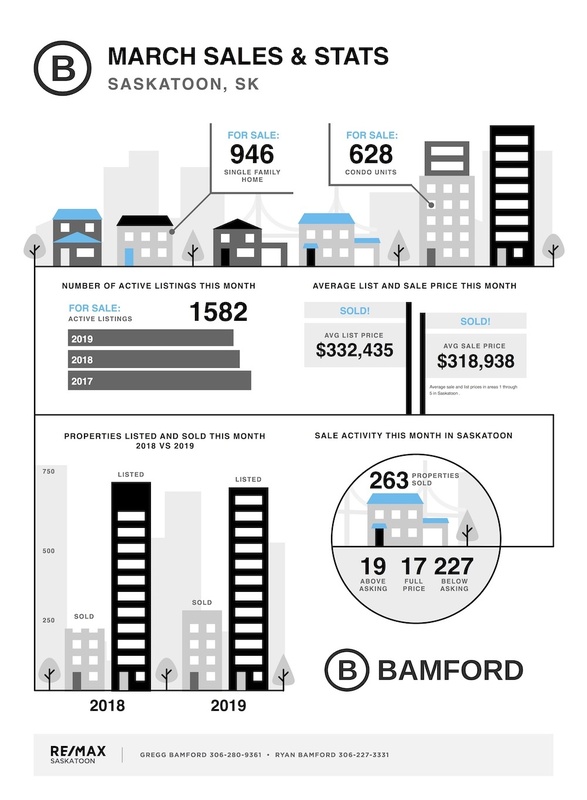 The March stats are a direct result of supply and demand with inventory levels being around 1800 listing at the start of 2018, compared to the start of 2019 with just over 1400. This created some fear of loss for certain buyers with limited inventory in specific areas of the market. We will most likely see inventory levels continue to rise in the coming months which will ultimately effect market value. The Bank of Canada reduced the interest rates by 20 points last month and yet buyers are still very cautious. Understandably, they are uncertain of where the Canadian economy is going. We have also had many questions about the Liberals First Time Buyers Incentive Plan potentially coming in October. Now first time buyers are questioning if they should wait to purchase until this time. This has created more confusion for these buyers. When speaking with our mortgage specialists it seems many details need to be worked out in these incentive plans. As first time buyers are the largest driving factor in our market this could actually slow our market even more..
All in all, if someone is considering selling in the coming months we would recommend listing as early as possible. With less inventory to compete against, it will result in a quicker and most likely more finically beneficial sale. As always, in any market, we can help! When selling your home it is crucial to price at market value and have your home ready to show. The proper de-cluttering, staging, professional photographer and marketing is also a must in our current market to help buyers see value.